Poor Joo-hyuk is thoroughly caught in the jaws of vicious jealousy as he’s forced to watch another man fall for Woo-jin. There’s not much he can do, as he’s not even supposed to know Woo-jin in this timeline, but that doesn’t stop him from trying. This leads Joo-hyuk to the discovery of some cold hard truths, and carries some unexpected side effects that could totally change everything, past and future. Joo-hyuk watches, hidden, as Jong-hoo asks Woo-jin to date him. Woo-jin stares at Jong-hoo for a long moment, then laughs loudly and says he made her heart flutter for a second. When he asks if that’s all, she admits that it’s not, but she asks for some time to get to know him better before answering. Joo-hyuk starts to leave, but he accidentally makes noise and alerts Jong-hoo and Woo-jin to his presence. He fibs that he left something at his desk, and all three laugh awkwardly. Later, Joo-hyuk and Jong-hoo end up at Sang-shik’s bar, where Joo-hyuk looks like he might be sick as Jong-hoo tells Sang-shik that he’s in love (Sang-shik: “Again?”). Jong-hoo is practically glowing, but Joo-hyuk snaps that he’s against this relationship, telling Jong-hoo that he knows nothing about Woo-jin. He points out that it could be bad if they broke up and had to work together, but Jong-hoo swears that they’d never break up. 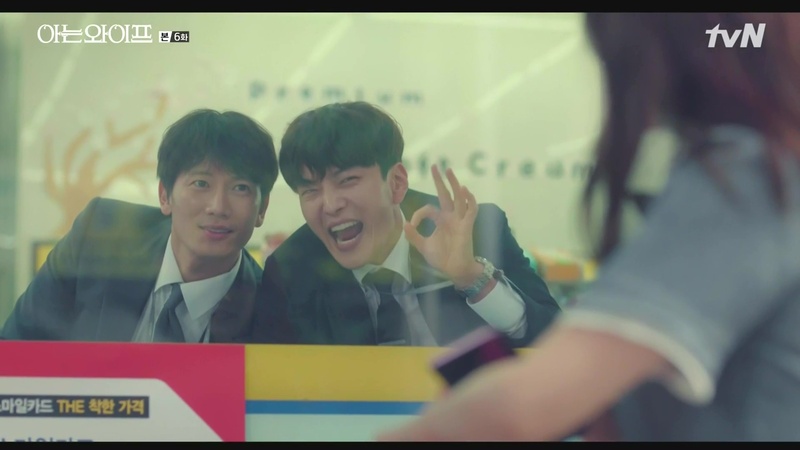 Joo-hyuk tries to entice Jong-hoo away from Woo-jin by offering to introduce him to one of Hye-won’s friends, but Jong-hoo isn’t interested in anyone that isn’t Woo-jin. He whines to Joo-hyuk to help him with Woo-jin, and Sang-shik warns Jong-hoo to just date her and not even think of marriage. Joo-hyuk says he isn’t allowed to do either, trying to put his foot down, only for Sang-shik and Jong-hoo to override him. Woo-jin and Joo-eun have a beer at the convenience store nearby, where Woo-jin tells Joo-eun that she got asked out by a coworker. She admits that she likes him and they have fun together, and that all the women in the office seem attracted to him. But she also says there’s no “spark,” and Joo-eun tells her that that sort of thing only happens in movies. She says that often, you don’t recognize your fate right away — she knew Sang-shik since high school, but it took years for her to notice him. Woo-jin takes that in and decides to be more open-minded about Jong-hoo from now on. On her way to work the next morning, a little girl runs out in front of Woo-jin’s bike, hurting herself. It makes Woo-jin late to work, and when Jong-hoo is worried, Joo-hyuk snaps at him to mind his own business. Woo-jin sneaks in a few minutes later with Jong-hoo’s help (he tells her about Joo-hyuk’s trick with the coffee cup), making Joo-hyuk worry that they might actually start dating. While talking to one of his superiors, Branch Manager Cha learns that an employee has complained that he “forces” them to go to team dinners. It puts him in a bad mood, and he goes inside yelling about everything from the banner at the front door, to the plants in the lobby, to Hwan’s socks. Joo-hyuk runs over to literally get between Jong-hoo and Woo-jin when Jong-hoo tries to ask her out again. Later, Woo-jin and Jong-hoo are sent for lunch break at the same time, so Joo-hyuk claims not to feel well from hunger and is sent out, too. On the way to lunch, Jong-hoo asks Woo-jin questions about herself (and gets silly answers like that she’s a chaebol daughter). Joo-hyuk runs to catch up with them, claiming that Manager Byun told him to eat with them. 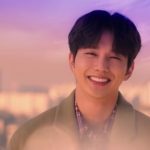 He does everything he can to thwart Jong-hoo’s attempts to impress Woo-jin, and after lunch, Jong-hoo drags Joo-hyuk into a convenience store to ask what his problem is. He can’t say that, so Jong-hoo releases him, saying that his reasons aren’t good enough to make him lose interest. He tells Joo-hyuk to stop acting like a parent who’s against his son’s marriage, and he warns that if Joo-hyuk keeps acting jealous, he’ll assume he likes him as more than a friend, adding cheekily, “And you’re not my type,” hee. After a particularly tiring rush, Branch Manager Cha slumps out for lunch. Manager Byun wants to tag along, but Branch Manager Cha grumbles that lunch is off-time and he doesn’t want to make them uncomfortable. Manager Byun and Team Leader Jang wonder what’s put him in such a sulk, until Hwan mentions that in last week’s evaluation, he wrote that the team dinners make him feel like he’s working late. Everyone gasps, and Manager Byun angrily chases Hwan around the office. Hye-won goes to the gym again, looking around anxiously until Hyun-soo shows up,. He follows her out when she’s finished, asking her to buy him a meal, and she complains that she ate with him once because he’s cute, but now he’s taking advantage. Hyun-soo suggests that Hye-won make him her “some” (as in, not dating, but not not dating), and confesses that he likes her. She says that it’s just a noona fantasy, and he doesn’t argue the point. He admits that he saw her wedding ring, so Hye-won tells him to date someone his age, but Hyun-soo says that if she thinks it’s that easy, then she’s never really been in love. He starts to leave, but he turns back and comes to stand very close to Hye-won, staring at her intently. He watches her reaction, smiles to himself, then walks away, grinning to himself. Hyun-soo drives his flashy sports car to an underground valet, tossing the keys to his buddy who works there. His friend complains that pretending to be a college student wasn’t enough, and now he’s borrowing clients’ cars pretending to be a chaebol. Hyun-soo counters that to land a rich woman, you have to take big risks, and he’s got a big fish on the line this time. Oooo, you jerk. When Branch Manager Cha returns from lunch, the employees make sure he sees Manager Byun chastising Hwan for writing that evaluation. Team Leader Jang makes a big deal about how kind and generous Branch Manager Cha is to buy them food, and they all pretend to cry at the thought of him ever retiring, which is pretty over-the-top but works like a charm. At the end of the day, Branch Manager Cha reminds Woo-jin that there’s a new employee training workshop this weekend. There’s also leadership training, so he tells Joo-hyuk to go, and keep an eye on Woo-jin in the process. Jong-hoo asks if he can go instead, and Branch Manager Cha says he doesn’t care which of them attends. LOL, Joo-hyuk’s face is priceless. Leaving work, Jong-hoo sheepishly admits to Woo-jin that he’s attending the workshop to spend the weekend near her. He’s also gotten a bike so he can travel partway home with her, but she warns that he may not be able to keep up. He argues that he’s got strong thighs, but Woo-jin leaves him wobbling in her wake, gasping for air. They stop at the convenience store for a drink, and Sang-shik finds them and asks why Jong-hoo is biking when he said they’re bad for the knees, ha. Jong-hoo just pointedly presents Woo-jin, and Sang-shik is hilariously happy to meet her, though he gets hit for mentioning how many women Jong-hoo dates. 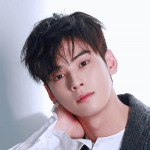 He invites Woo-jin to his restaurant so he can treat her to soju and chicken feet, and Woo-jin says she’s got training in the morning, then excitedly accepts anyway. Joo-hyuk is at the restaurant with Joo-eun, when Sang-shik returns with Jong-hoo and Woo-jin in tow. Joo-eun is surprised to see Woo-jin, but Woo-jin is more shocked to see Joo-hyuk here. Sang-shik marvels at what a small world it is as he serves the food, especially the part where Joo-eun wanted to fix Woo-jin up with a guy who’s already in love with her, while Joo-hyuk looks like pure misery. The women go to wash their hands, and Sang-shik comments on how ladylike Woo-jin looks, when she’s actually pretty quirky. He tells Jong-hoo that Woo-jin seems to like him, and he gets hit again, this time by Joo-hyuk, when he mentions an overnight trip he took Joo-eun on when they were first dating. Jong-hoo asks Joo-hyuk for another favor, this time to borrow his car so he can drive Woo-jin to the training in the morning. Sang-shik asks if he’s planning to score over the weekend, and narrowly avoids getting seriously walloped this time. Jong-hoo giggles that he’s going to try to take things with Woo-jin to the next level. Joo-hyuk is stuck going golfing the next day with Hye-won and his in-laws, though in this reality, he has no idea how to golf. 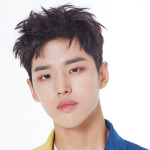 He claims to be tired, blaming his distraction on being busy at work, but he really just can’t get the thought of Jong-hoo making a move on Woo-jin out of his head. As they drive to the workshop, Jong-hoo gets busted by Woo-jin for claiming that he made food for the drive, when Woo-jin recognizes the sandwich. 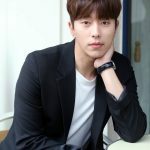 Jong-hoo says that women usually pretend not to notice things like that, making Woo-jin ask if he’s dated a lot, but Jong-hoo nervously says it’s not true. Of course, as soon as they get to the training facility, Jong-hoo is recognized by a woman who doesn’t say anything specific, but acts a little salty towards him. 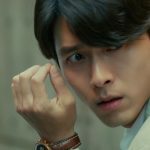 A second woman mentions that he never answers his phone and warns Woo-jin that he makes women go crazy. Jong-hoo makes excuses, but Woo-jin just chuckles that he doesn’t owe her explanations. Over lunch, Joo-hyuk’s father-in-law mentions their family vacation this summer, but Joo-hyuk is still obsessing about Jong-hoo making a move on Woo-jin. He sees a couple making out in the elevator and imagines them as Woo-jin and Jong-hoo, so he slaps himself to try and snap out of it. During a break, Woo-jin talks on the phone with her mom, who’s upset about something. Jong-hoo approaches and smiles as he listens to how kindly she handles her mother, but when she hangs up, he sees that she looks a bit sad so he respectfully pretends he just arrived. Joo-hyuk goes to Sang-shik’s bar and demands spicy food, complaining that he’s sick of eating steak at every meal. Sang-shik mentions that Jong-hoo isn’t answering his texts, and he asks how things are going for Joo-hyuk’s “friend” who keeps running into his ex. Joo-hyuk says sadly that the ex is seeing someone else now, and that his “friend” is incredibly upset because he can’t stop it. Sang-shik says that he must still have feelings for her, but Joo-hyuk loudly insists that his “friend” is just worried because he knows what she’s really like. Sang-shik counters that if things are over then he should let her date whoever she wants, only for Joo-hyuk to bark at him to shut it. Sang-shik tries to call Jong-hoo, who still isn’t answering his phone. Joo-hyuk grumps that he’s at training, but Sang-shik jokes that love blossoms at the training center, giving Joo-hyuk some pretty upsetting ideas about Jong-hoo and Woo-jin and condoms. He runs out of the bar and grabs a taxi to the training center. Jong-hoo and Woo-jin are being a lot better-behaved than Joo-hyuk gives them credit for, going on a walk and talking about their families. Woo-jin says she’s an only child, while Jong-hoo is the maknae in a family of four kids. Woo-jin admits that she was always jealous of kids with lots of siblings. She brings up her mother, and tells Jong-hoo that she has dementia. 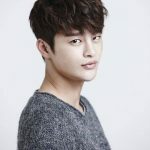 Jong-hoo says thoughtfully that he’s always thought of dementia as the body naturally breaking down when used for too long, and Woo-jin tells him that he’s more considerate than she originally thought. He’s touched, then he pouts when she says he’s especially considerate towards women, ha. As soon as Joo-hyuk arrives at the training site, he goes looking for Jong-hoo and Woo-jin. He almost has a panic attack when he finds a couple making out, but luckily it’s not them. He finds them on their walk and gets Jong-hoo alone, but Jong-hoo doesn’t believe Joo-hyuk’s story that his father-in-law needs his car tomorrow. Joo-hyuk somehow convinces Jong-hoo that it’s true, and Jong-hoo whines that he was so close to taking things with Woo-jin to the next level. He kick-chases Joo-hyuk across the room, nearly in tears, but Joo-hyuk just smiles and asks if he can crash with Jong-hoo for the night. Jong-hoo actually drops to his knees and begs Joo-hyuk to leave and let him date in peace, ha. Woo-jin joins them and invites Joo-hyuk to stay for dinner, which he happily accepts. Jong-hoo mopes while they eat, but he enjoys a glass of wine with Woo-jin. Joo-hyuk knows that Woo-jin doesn’t have a high wine tolerance, but Jong-hoo urges her to drink anyway, making Joo-hyuk wonder what he’s planning. Jong-hoo comments casually that in romantic comedies, things work out well when a man and a woman go on a date in a place like this. Woo-jin says she doesn’t care for rom-coms, because they’re so unrealistic. Joo-hyuk smugly thinks to himself that Woo-jin prefers melodramas, but she tells Jong-hoo that she likes comedies that make her laugh. She continues that she watches melodramas only when she feels like crying but doesn’t want to seem weak. A lightbulb goes on for Joo-hyuk, and he excuses to the bathroom for a moment, shaken. He remembers one evening when he came home late from work on Woo-jin’s father’s memorial day, to find her crying over a sad movie. He’d tried to change the channel, but Woo-jin had quietly insisting on finishing her movie. When Joo-hyuk tried to charm her into letting him watch his game, Woo-jin had exploded, screaming that she said no. Joo-hyuk had retreated to his game console, and when he heard the sounds of Woo-jin crying in the other room, he’d left her alone. You must have wanted to cry then. You must have wanted to be comforted then. You must have been deeply lonely then. Driven by work, I thought I was struggling the most. I was already facing a lot of trouble, so I wanted you to deal with your trouble on your own. I turned a blind eye to you, knowing how you suffered. Woo-jin opens her eyes and looks up at hi, while he still has his hand on her head. Joo-hyuk’s heart pounds, but he says she had something in her hair and pulls his hand away. Woo-jin seems shaken, and can barely look Joo-hyuk in the eye. While Joo-hyuk drives home, he berates himself for going there and acting like a jealous husband, telling himself that he shouldn’t have made this choice (to change the past). As luck would have it, when he stops for a red light, the doomsayer who gave him the time-travel coins walks right in front of his car. Joo-hyuk pulls over and follows the doomsayer underground to the subway station, but he loses sight of him around a corner. When Joo-hyuk catches up, the doomsayer is gone, and he can’t find the man anywhere. In her room, Woo-jin can’t stop thinking about waking up with Joo-hyuk’s hand on her head. She massages her pounding chest and wonders what’s wrong with her. Monday morning, Joo-hyuk approaches Woo-jin outside the bank to ask if he made her uncomfortable, but she makes an excuse to leave. Later he offers to help her with a paper jam in the printer, but she refuses his help and accepts Jong-hoo’s. Jong-hoo chirps to Joo-hyuk that Woo-jin seems more open to him after the weekend, but Joo-hyuk just grumbles that he didn’t notice. In the break room, Hwan is on the phone with a friend and ignores Hyang-sook’s request for help getting something from a high shelf. When she reaches for it herself, her top rides up, revealing a tiny tattoo on her side. That gets Hwan’s attention, and he suddenly finds her every move intensely interesting. Meanwhile, Hye-won visits a department store, and she hears a familiar voice in the parking garage. It’s Hyun-soo at work as a valet, but neither of them sees the other as he drives a car away. Hye-won calls Joo-hyuk to see when he gets off work so they can have dinner together. Manager Byun tells Jong-hoo to visit a client’s factory in preparation for another loan before he goes home. Having planned to bike home with Woo-jin again, he makes a face at Joo-hyuk, who argues that he can’t do it for him tonight. Jong-hoo petulantly knocks over Joo-hyuk’s pen cup and runs out, hee. Joo-hyuk is the last one left at the bank when Woo-jin comes back to her desk for something. They politely wish each other a nice evening, but Woo-jin doesn’t leave — instead she approaches Joo-hyuk and says she needs to check something. He stands, and Woo-jin apologizes in advance for what she’s about to do. She takes Joo-hyuk’s wrist and lifts his hand to her head, then looks up at him with wide, sad eyes. Hye-won arrives in the parking lot to pick up Joo-hyuk, where she runs into Hwan. He lets her inside, and she sees Joo-hyuk standing there with Woo-jin. She calls out to him, and Joo-hyuk and Woo-jin both look at her, Joo-hyuk’s hand still on Woo-jin’s head. It occurs to me that, while it bothers me when Hye-won flirts with her cute little scam artist, Joo-hyuk’s jealousy over Woo-jin doesn’t bug me at all. I suppose it’s because Joo-hyuk hasn’t experienced the last twelve years with Hye-won, and he never actually married her, so it doesn’t feel like cheating in his case. In his memory, they have zero history together — all of his memories are of falling in love with, marrying, and making a family with Woo-jin. So it doesn’t “feel” like his jealousy over Woo-jin is cheating, because this Joo-hyuk didn’t fall in love with or marry Hye-won. On the other hand, this timeline’s Hye-won did marry and make a life with Joo-hyuk. So, because Hye-won does have the history and memories with Joo-hyuk, her interest in Hyun-soo is very much cheating behavior. It’s a fine line, because Joo-hyuk is definitely emotionally cheating on Hye-won, in this timeline’s reality. But it feels different to me as an observer, because I know things about Joo-hyuk that the other people in this timeline don’t know. Early on in the show, I’d wondered how Joo-hyuk could have driven Woo-jin to such anger and disappointment that she’d fly off the handle even when he was being cheerful, because he seemed pretty sweet and gentle even then. But the scene where he came home late on her father’s memorial day made me realize that his cheerfulness was a big part of the problem, because it translated to neglect when Woo-jin needed him the most. Joo-hyuk tends to pretend that things are fine even when they aren’t fine, as if he’s hoping that being in a good mood will make it okay that he missed an important event. But Woo-jin didn’t feel she could rely on him to take things seriously when needed, so she lost faith in him and stopped leaning on him for support. Yes, Woo-jin should have told Joo-hyuk that she needed him to step up and be someone she could rely on when things got tough, but she probably felt that he’d just blow that off like he did everything else. No wonder she felt so alone, and got so depressed and angry. I didn’t expect to feel Second Lead Syndrome for Jong-hoo, of all people, but he really touched me in this episode. He’s single in this timeline through no fault of his own, and he’s got a bad reputation with women, but it’s not his fault that his The One got taken from him in the timeline change. At least his feelings for Woo-jin do seem genuine (and who can blame him? She’s awesome). I feel bad for him because he’s trying so hard to get her to notice him romantically, but it’s a bit hollow when she’s having to make an effort to feel something more than friendship for him. Then to complicate matters, he’s got his best friend acting like a jealous ex for no reason anyone but Joo-hyuk can understand. Poor Jong-hoo doesn’t stand a chance, and I’m not looking forward to seeing his heart get broken. It’s obvious to all of us that Joo-hyuk is insanely jealous of Jong-hoo’s feelings for Woo-jin, and it’s no wonder, with the way he’s been remembering how it felt to fall in love with her. Seeing him flail and stew over Jong-hoo is fun and funny, but what I really wanted to see was Joo-hyuk casting off his denial and doing some serious reflecting on himself, and what caused things to go so horrifically wrong in the original timeline. I keep saying that I don’t entirely blame him for wrecking his and Woo-jin’s marriage, because it takes two to tango, and Woo-jin has some responsibility for letting her anger and frustration change her so much. But Joo-hyuk certainly has some truths that he needs to face, and I’m glad to see him beginning to face them. I touched on this before, but it’s worth saying again, that I really hope the answer isn’t that Joo-hyuk and Woo-jin end up together in this timeline. I want Joo-hyuk to go back to the original timeline and make right the things he did wrong, and to work hard to make that Woo-jin happy again. 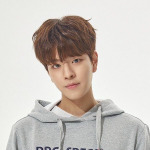 If he gets to be together with this timeline’s happy, unsullied Woo-jin, it will feel like a cop-out, and as if somewhere in the universe, there’s an angry, hurt Woo-jin who will never get an apology or a chance to be happy. I’m hoping that the three-month difference in time between the old timeline, and when this new timeline started, is a clue that possibly this new timeline isn’t a real one, but maybe a sort of test to see what Joo-hyuk will do once he realizes that changing wives doesn’t change the person he is, and that he’s only brought his problems along with him. But I’m also worried that the only way to get the old timeline back is for Joo-hyuk to go back in time and speak up for Woo-jin on the bus again, and he’s already used both of the coins he was given that allowed him to go back to that day. So I’m very concerned (in a good, can’t-wait-to-see-what-happens sort of way) about how this is all going to get resolved, and glad to see the that the doomsayer is still around, because he seems to be the only one who can fix this whole mess.